When you see a team, like Hannah Branigan and Rugby, moving together in sync, heeling looks almost like a dance. 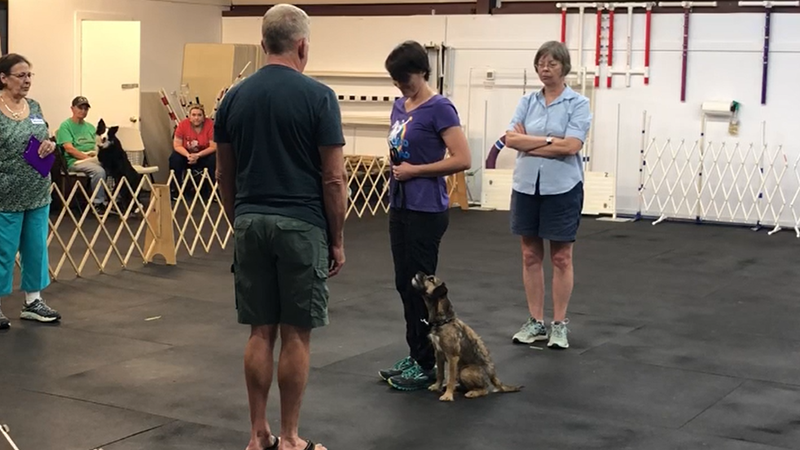 Flashy, top-scoring heeling requires fluent understanding of the position combined with complex movement skills that allow the dog to adjust his body seamlessly to stay in position as the handler moves. Want more? Check out Hannah at ClickerExpo 2019 in Portland, OR & Washington DC. Register today!